Malta's Biggest Zumba Party! Let's set a record! 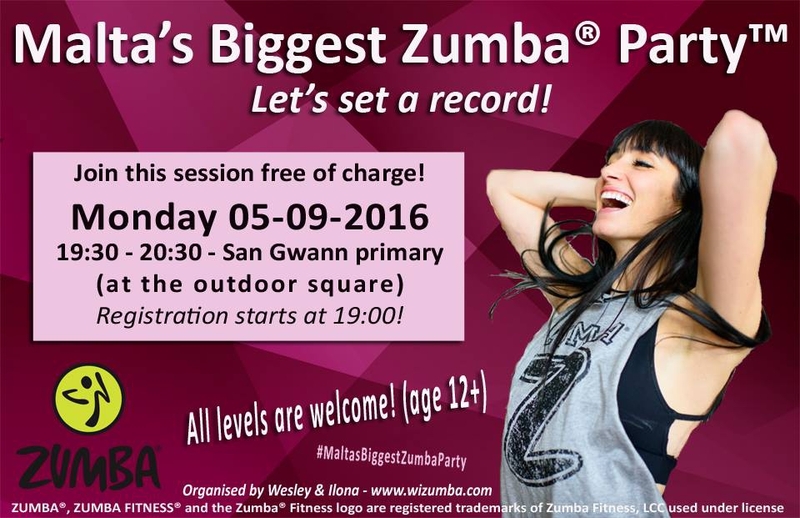 Malta's Biggest Zumba Party! Be part of it! Everyone (age 12+) is welcome to join in! No experience required! The session will kick off at 19:30, but it is important that you get there no later than 19:20! Tell your friends, share the event & be part of this challenge! *you can book online so we have an idea of how many people will be taking part on the day.. Sign up from here & book yourself in for Monday the 5th!